Dino Melaye Cries Out: "They Are After My Life"
The embattled lawmaker representing Kogi West Senatorial District, Dino Melaye, has petitioned the Inspector-General of Police, Ibrahim Idris, and several global bodies over what he described as a threat to his life. 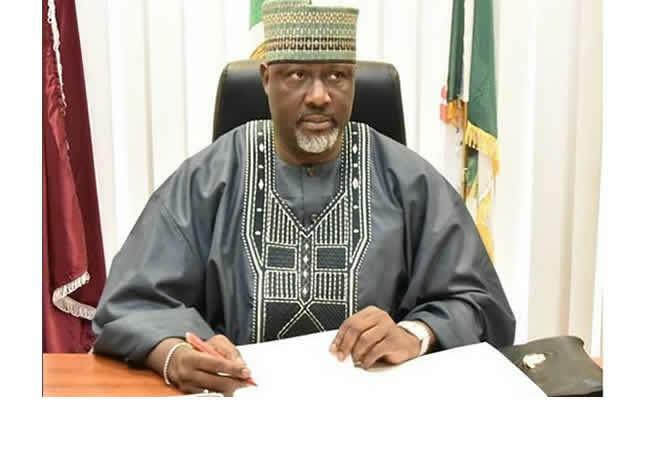 In the strong petitions, Melaye alleged that there was a plan to murder him “extrajudicially” by his “political enemies” in collusion with the men of the Kogi State Police Command. The senator also petitioned the United Nations’ Resident Representative and the Ambassadors of the United States, Germany, Canada as well as the High Commissioner of the United Kingdom in Nigeria. Melaye, who is the Chairman, Senate Committee on FCT, in the petition to the IG, urged the police boss to raise a neutral police team to investigate the allegations of gunrunning being levelled against him by the Kogi State Police Command allegedly in conspiracy with the Kogi State Government. He said, “As things stand, I live each day in constant and reasonable fear for my life, looking over my shoulders and being harassed by the named politicians. The police are hand in glove with these politicians.